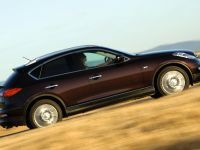 Infiniti, the luxury automotive brand from Japan, confirms pricing and specification of its second car for the UK: the V6 powered, all-wheel drive EX.Smaller than the FX, it's the first crossover to blend the style and performance of a sports coupé with the character of a compact SUV. 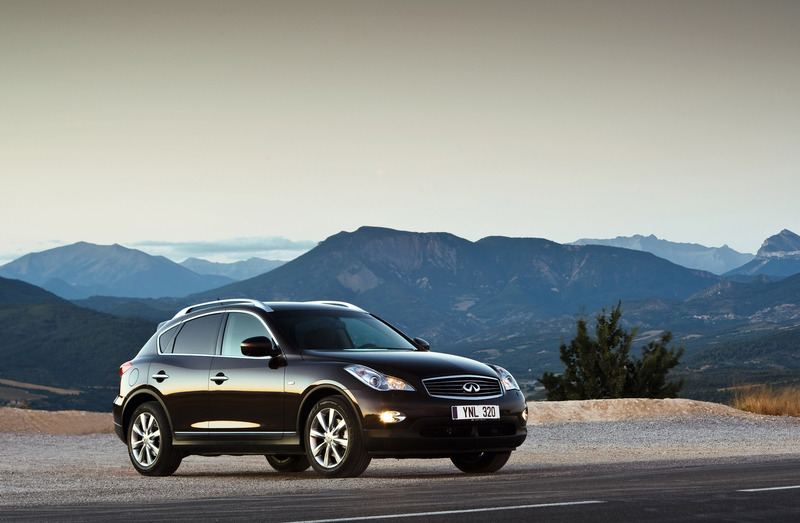 The EX is now available for British customers as part of Infiniti's range of performance cars coming to the UK. 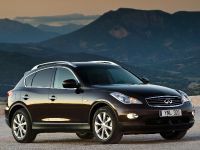 Part of Infiniti's five-model range being launched in the UK from September 2009 and reservable now at www.infiniti.co.uk. 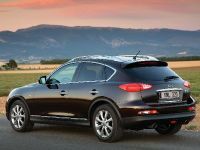 Infiniti's pioneering, all-wheel drive EX coupé crossover will cost from £35,200 on the road when UK deliveries begin in September. 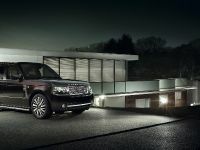 Highly influential, the EX arrives with an offer to UK car buyers every bit as groundbreaking as its design. 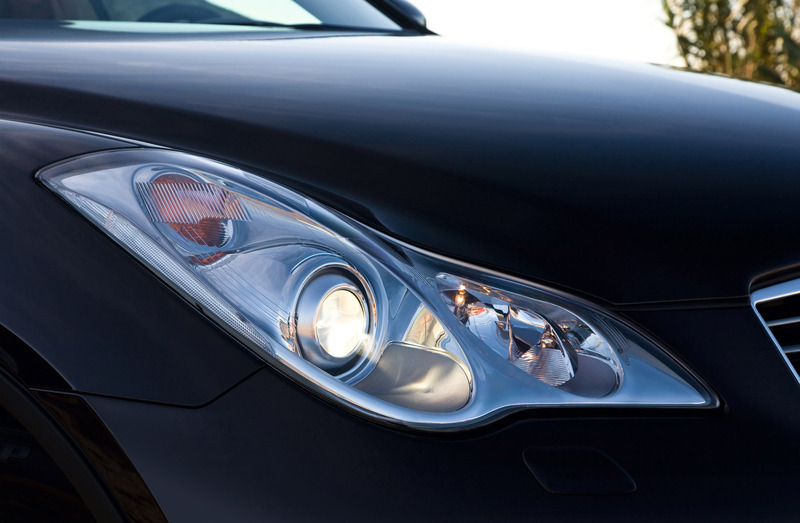 Behind the price are levels of performance, quality, standard equipment, technology and customer service on offer to British car buyers in one model for the first time. 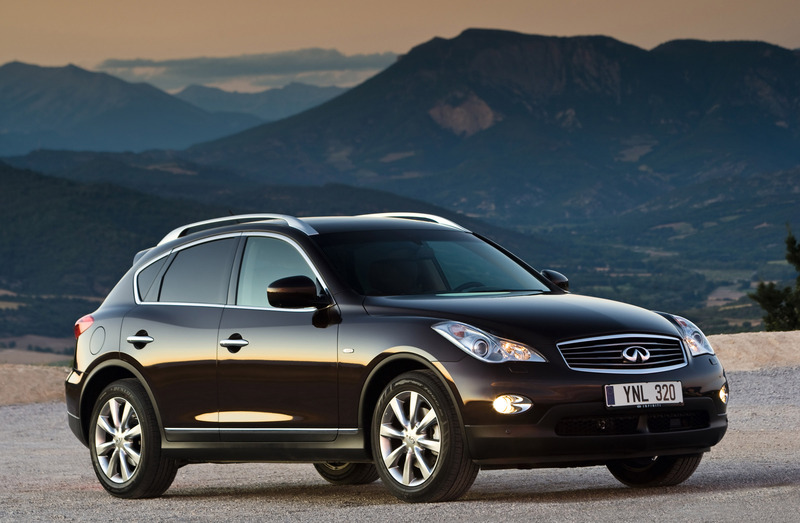 The UK is the 12th Western European country to feel Infiniti's Total Ownership Experience where the promise is to treat every customer like a VIP and make choosing, buying and running a car more rewarding than ever. 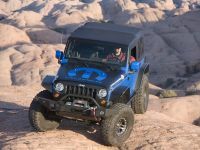 In other markets the compact, five-door EX has already established a dynamic new side to the crossover sector – it's the all-wheel drive solution for any enthusiast whose life has outgrown a coupe. 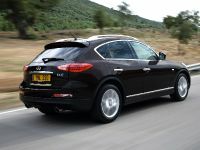 But equally, Infiniti has seen the EX find favour with urban customers for whom their outgoing full-size, luxury SUV is just too big – or controversial - for today's cities. The elegantly styled EX is available in two forms, the EX37 and the EX37 GT, both equipped with a highly efficient yet charismatic 3.7-litre V6 petrol engine offering stirring performance and sound. 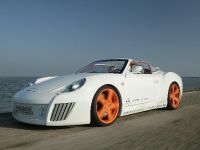 Acceleration from rest to 62mph takes just 6.4 seconds, a figure that shames many a sports car. 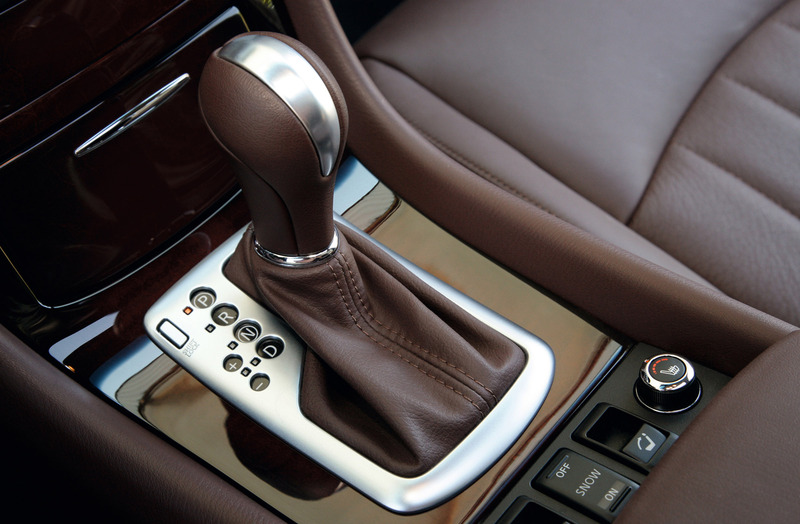 Yet the standard seven-speed automatic gearbox with manual mode and electronic all-wheel drive biased towards the rear wheels ensures the speed is totally controlled. 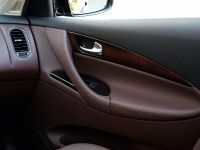 Both EX models are exceptionally fully featured with items Infiniti thinks its customers expect … but also many they don't including Scratch Shield paint and electric folding rear seats. 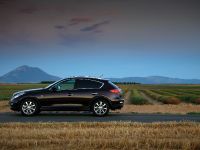 Every EX has, for example, 18 inch alloy wheels, front and rear parking sensors, Cruise Control, Bluetooth, adaptive Xenon headlamps plus LED rears, electrically adjustable front seats, iPod connection and rear privacy glass – all more usually found on an options list. 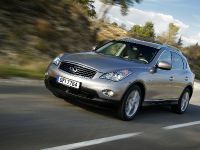 The UK is also one of the first among Infiniti's global markets where the EX comes with the all-new Connectiviti information and entertainment platform that Infiniti believes offers more multimedia-for-the-money than any other premium system. 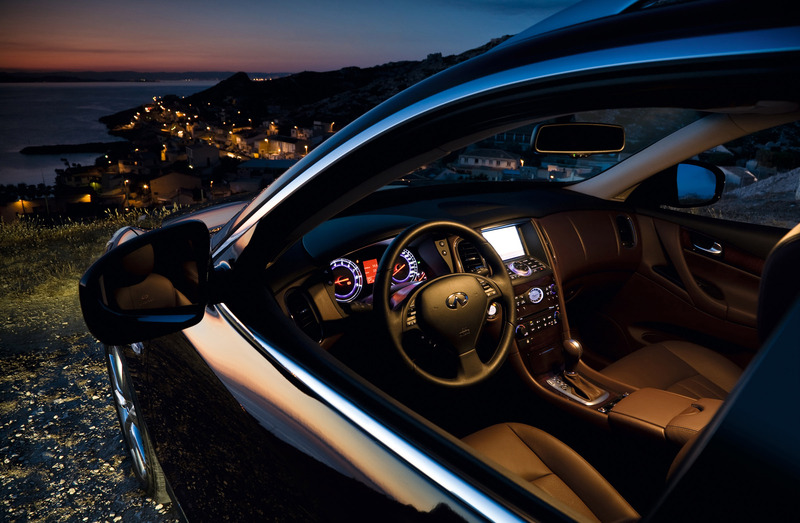 In optional Connectiviti+ satellite navigation form, owners will never be short of a place to visit. 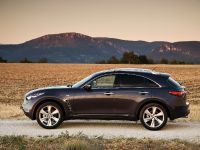 In an industry first, Infiniti has teamed up with Michelin Guides to offer 22,000 across Europe taken from the Michelin Red Guide (for hotels and restaurants) and the Green Guide (for scenic tours, tourist attractions and museums). Connectiviti+ also comprises for the UK automatic warnings of stationary speed cameras and a ‘smart' way of recalculating route guidance to avoid jams that takes into account traffic count and accident probability. The system even makes it possible to watch a DVD in the car – assuming the EX is stationary, of course. Integral to every EX are attributes such as light weight, thanks to the many aluminium parts, VVEL (Variable Valve Event and Lift) technology to optimise engine efficiency, and the model's signature long bonnet and sharply tapering roofline. 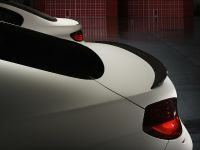 This distinctive profile is a direct result of the EX platform which is shared with its sister, the G37 Coupé. Delivering exceptional driving appeal and outstanding quality of design and manufacture, the EX is an all-roads, all-weather, all-rounder with exclusivity guaranteed. 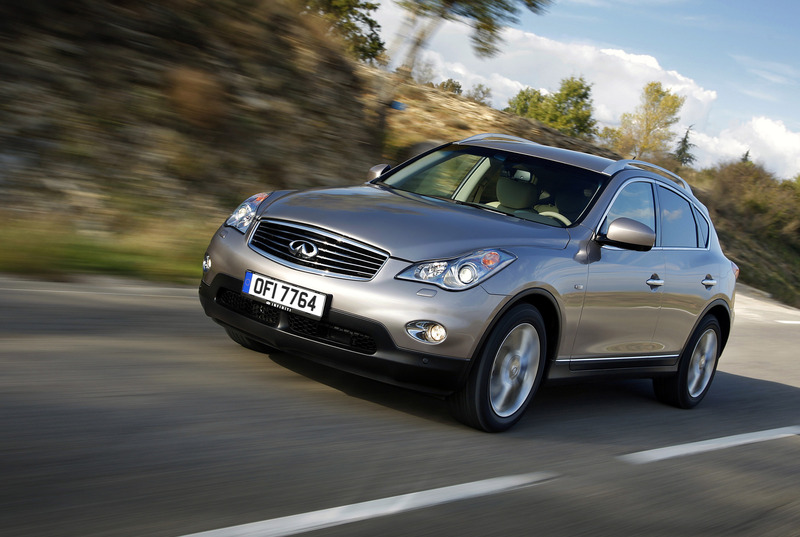 Infiniti is not aiming for ubiquity with the EX. 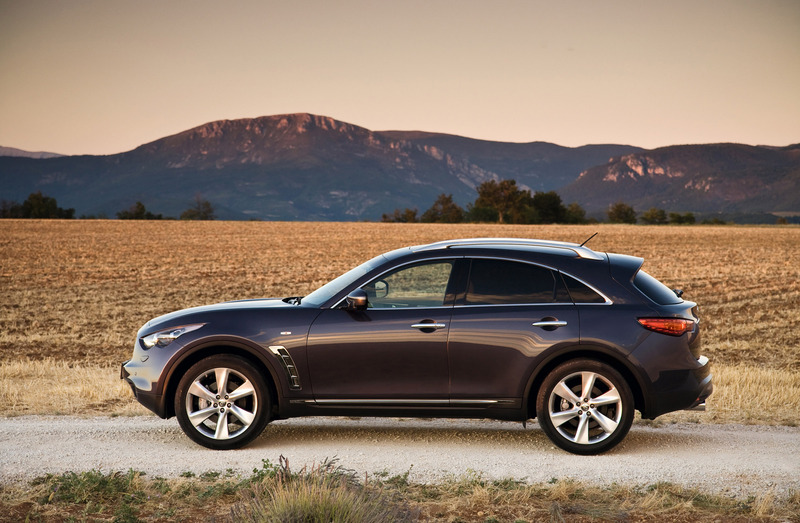 For a guaranteed sighting, customers need to visit an Infiniti Centre: the first in the UK will open on the outskirts of Reading this September. 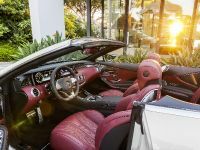 With its elegant and welcoming atmosphere it will preview a new experience for car buyers, one more akin to visiting a boutique hotel than a car showroom. 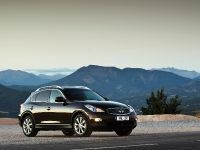 The Centre will also introduce buyers to a Total Ownership Experience which includes a VIP service offering annual free collection and delivery of an Infiniti up to a 150 mile radius. With this, an innovative online service, and around 11 more Infiniti Centres due to open across the UK within the next two years, owners will never feel far from an Infiniti Centre. 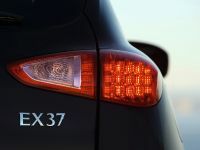 The EX37 will be unique in the UK market not just for the way it marries coupe styling with a dynamic drive but also for a price/specification ratio to embarrass prestige coupé as well as 4x4 rivals. 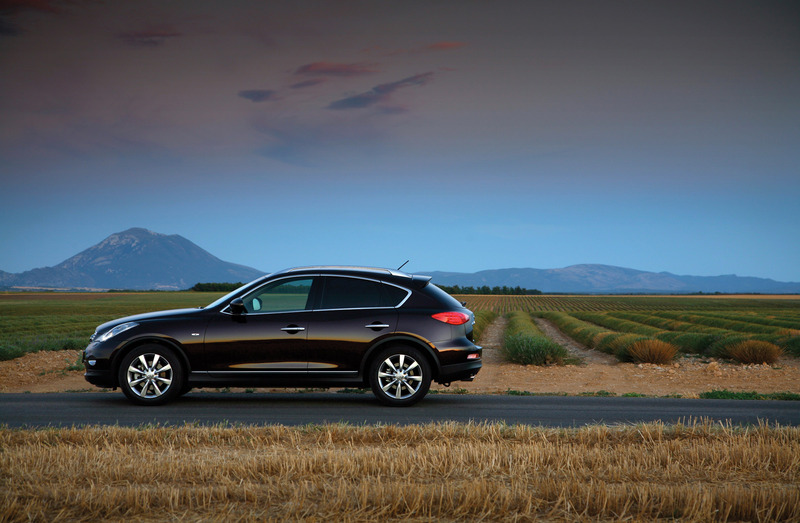 Every EX comes with a wide range of safety, convenience and luxury features. 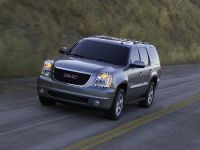 Many of these are very familiar from rival models – rival models' options lists, that is. 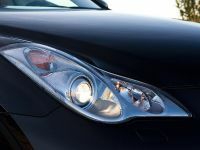 One example is adaptive Xenon headlights which turn with the steering to provide a wide spread of light around corners. 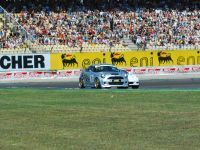 The EX37 is rare in this class to include them as standard. 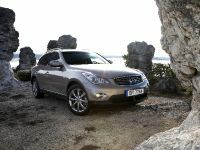 Infiniti is proud of its new Connectiviti information and entertainment system, also fitted to the EX37 (and GT). 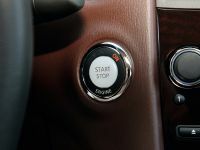 It comprises features – from hard disk drive (HDD) music storage, CD and iPod connection to parking sensors and Bluetooth phone connection – that could add many hundreds of pounds more to the price of rival models. 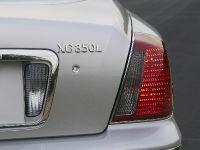 Many features of the EX cannot be had in rivals at any price. Scratch Shield, for example. 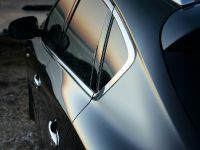 This unique Infiniti technology ensures the body's gloss finish remains unblemished for years thanks to an elastic resin within the top coat that "fills in" light scratches when exposed to heat. 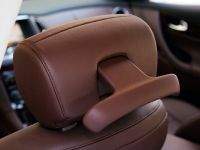 Another EX first in this class is the remote lowering and raising of the individual rear seat backrests – highly convenient when the EX doubles up as an estate car. 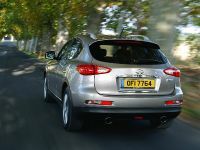 Also standard is a truly special engine: a new 320PS (316bhp) 3.7-litre version of the group's award-winning, petrol-fuelled V6 with Infiniti's variable valve event and lift technology. 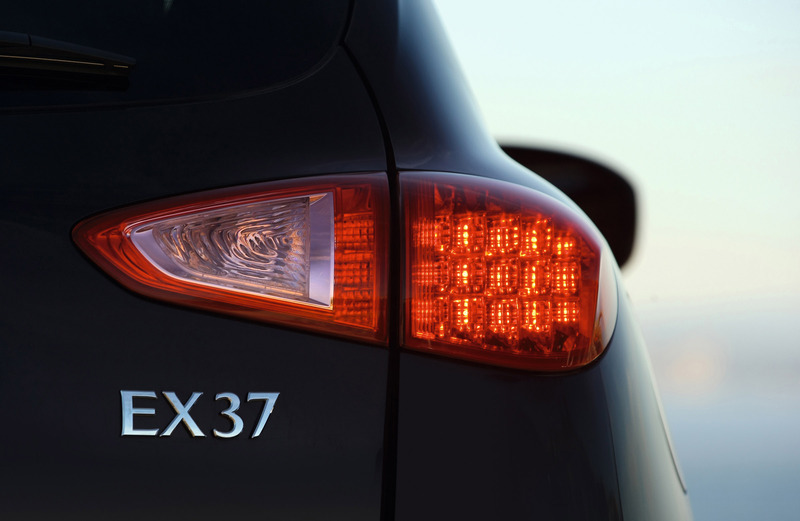 In the EX37 it offers 0-62mph acceleration in just 6.4 seconds and a top speed where the law and conditions allow of 149mph. 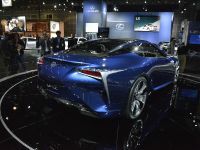 Ease of driving is assured by a hefty 360Nm (266lb ft) of pulling power available at 5200rpm while in league with the EX37's high performance is an official combined fuel cycle figure of 25.0mpg. 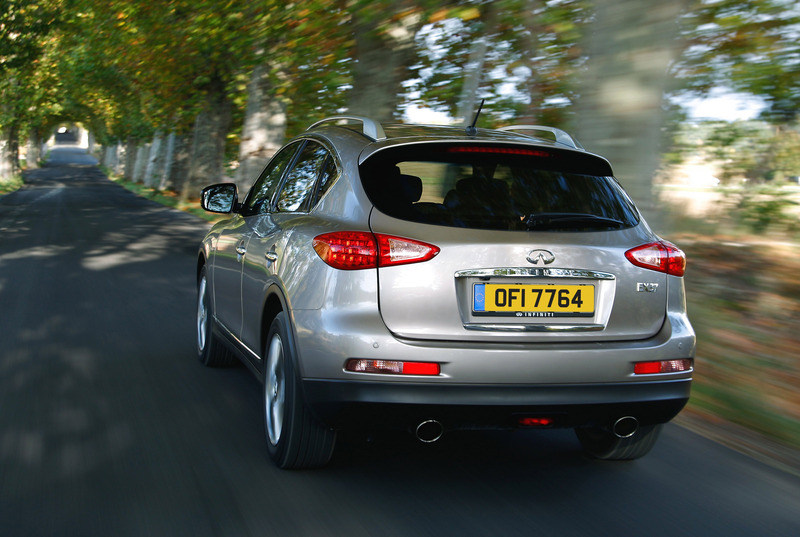 The engine is ahead of emissions requirements, being compliant with the Euro 5 standard. For the record, its CO2 emissions figure is 265g/km. 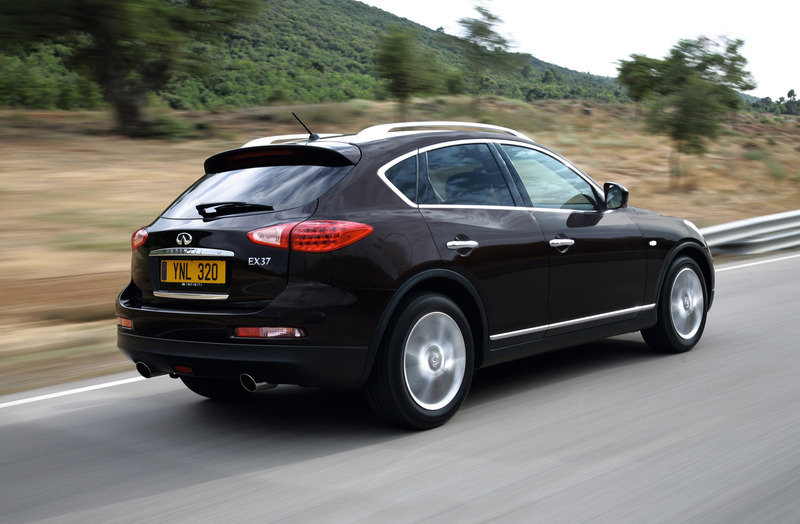 For a modest price increase the EX37 GT is the complete luxury crossover package. 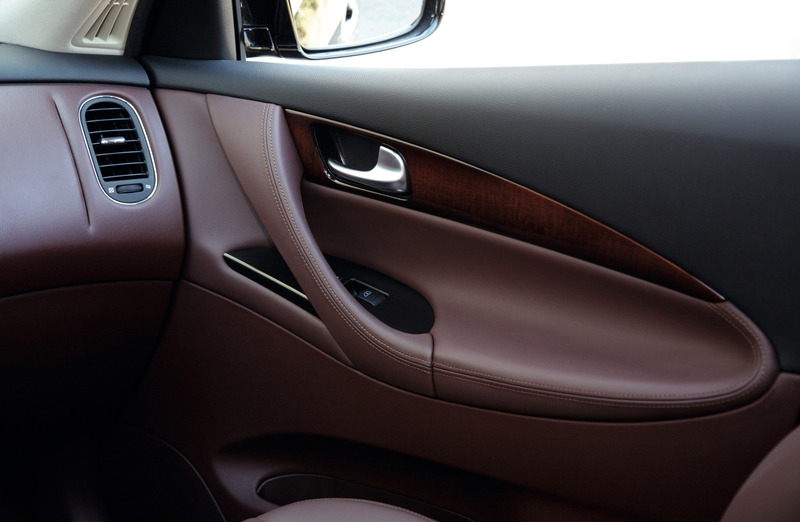 Full leather upholstery is added while both front seats gain that winter favourite: heated seats. 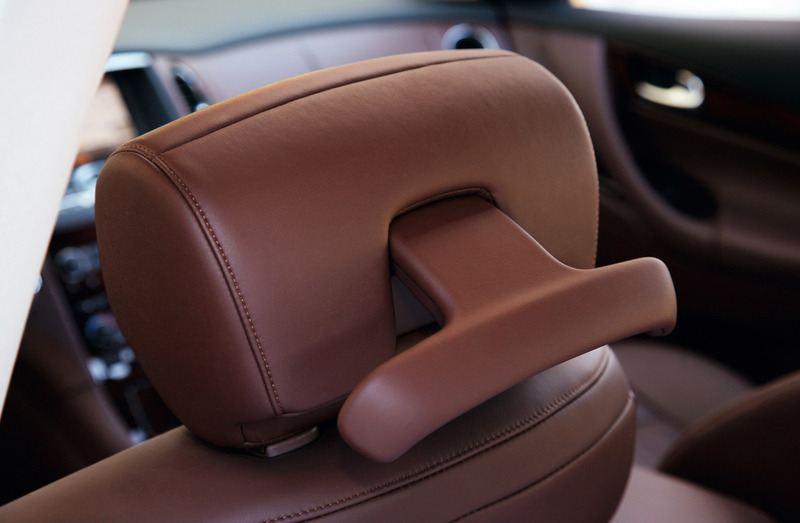 Ensuring that both driver and front seat passenger can find their ideal seating position, whatever their size or shape, both the GT's front seats come with multiple electric adjustments. 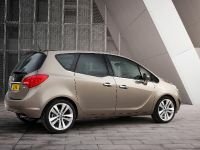 The driver has the added convenience of a seat memory and also a steering column that adjusts at the touch of a button. Automatic tilting mirrors, a jacket hangar integrated into the driver's seat headrest and a smart I-Key that can be programmed with the driver's preferred settings are also included. 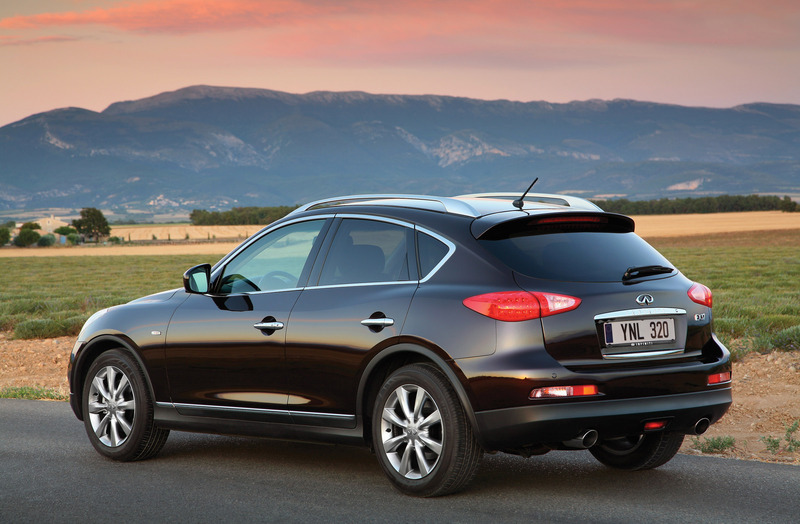 Both EX37 and EX37 GT can be enhanced with Infiniti's state-of-the-art intelligent safety system, while the world-first Around View Monitor can also be specified. 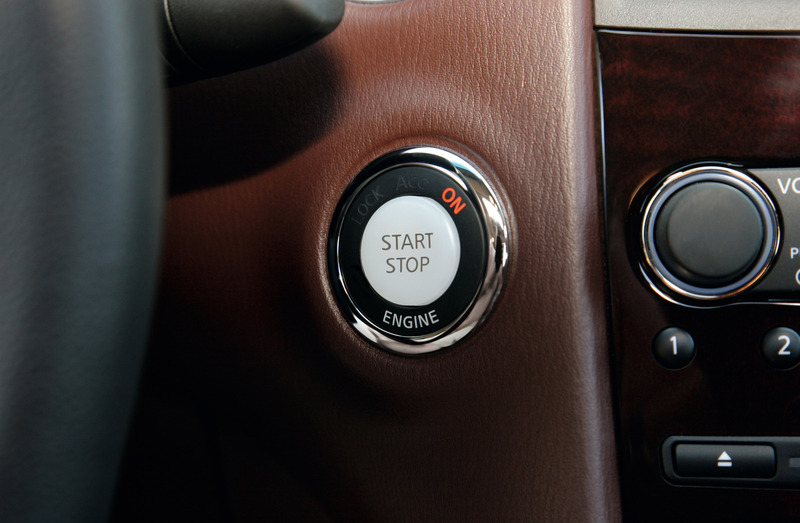 Plus, a high degree of personalisation is available through the many trim options. 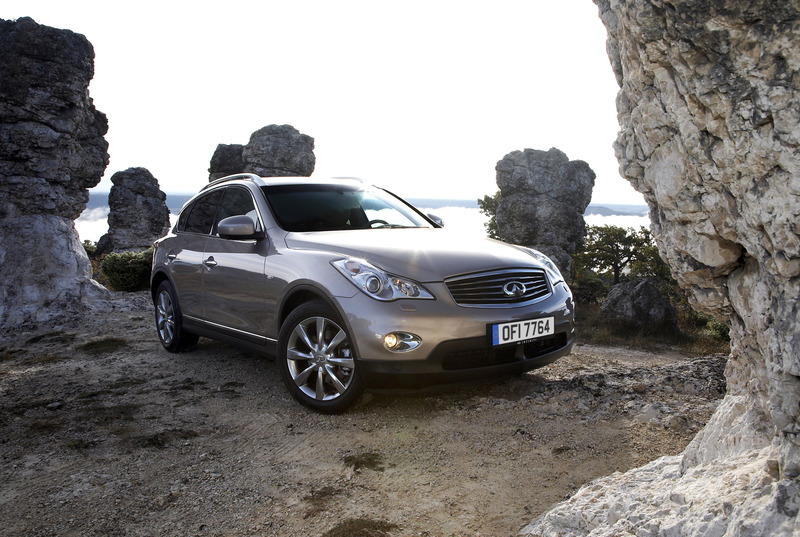 But overall Infiniti believes in few options – there are just seven for the EX – in great contrast to rivals. 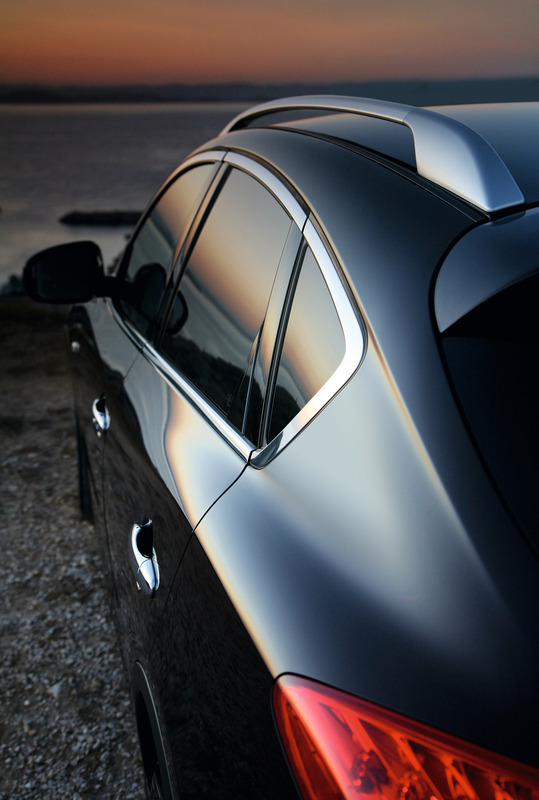 Around View Monitor utilises cameras to generate a 360-degree bird's eye view of the car, enhancing peace of mind when manoeuvring the EX in narrow confines. 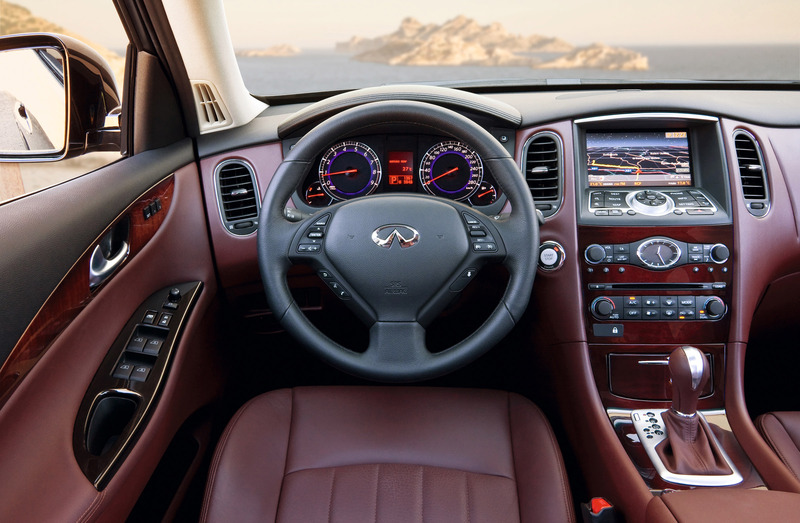 Intelligent Cruise Control uses laser sensors to maintain a set distance to the vehicle in front, at any speed from 0-112mph. And Intelligent Brake Assist could be a life-saver: when it detects that a collision with a car in front is imminent, it first warns the driver and then brakes the car automatically. The upgrade to Connectiviti+ costs £1700 which is vastly less than some rival makes would charge for this list of features. 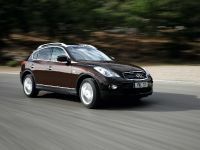 The Infiniti EX can be reserved online now at www.infiniti.co.uk. 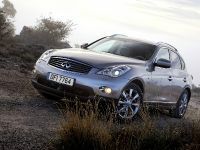 Deliveries are due to begin in September when the UK's inaugural Infiniti Centre, in Reading, opens its doors. 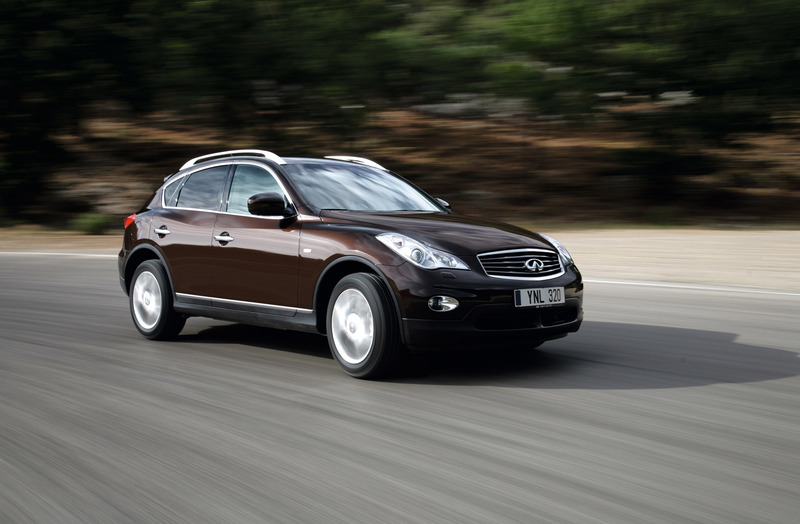 The EX is one of Infiniti Europe's five-model line-up which also includes the G37 Saloon, G37 Coupé, G37 Convertible and FX line of performance crossovers. All are also due on sale in the UK this year at the same time.